As one of the most important bathroom fixtures, shower needs to be carefully designed by considering its styles and purposes. Therefore, this washing device can do an excellent job when preparing you to get started with today’s activities or replenishing your energy at the end of the day. Understanding several types of showers will be a good starting point to have a perfectly designed shower in your own bathroom. Keeping that in mind, here you can learn more about some popular shower types which differ in styles and designs. Applying the concept of a car wash, body showers are installed on the wall of the stall. They will spray your body from different directions as you walk through the stall, just like a car washed in the automatic car-cleaning machine. The water flow settings offered by body showers include normal, massage, and mist. This type of shower can also be installed along with body jets system to turn your shower stall into a personal hydrotherapy room. 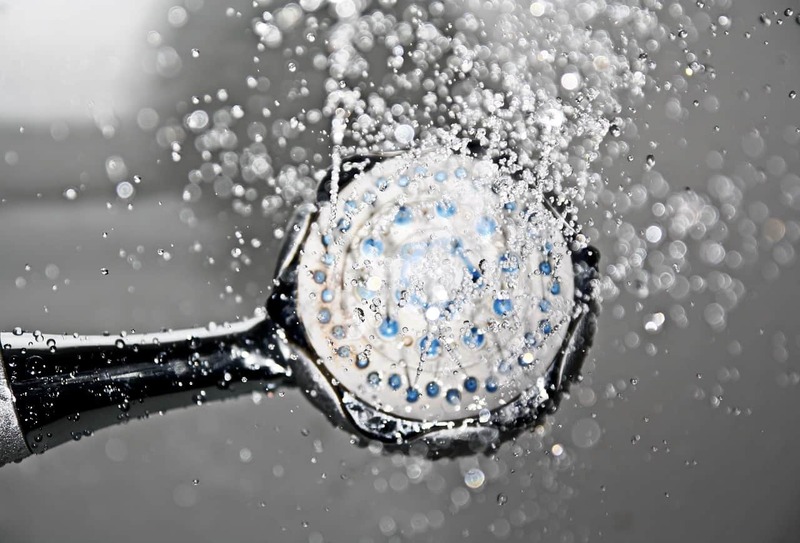 Basic ABS applies the concept of single shower head types. It is one of the most common types of showers which give you a simple water flow. ABS itself is a plastic material that offers more affordable price than Brass or Stainless Steel, but it is not less effective. In addition to regular water flow, basic ABS shower provides several types of massage flows. You can adjust the massage setting while taking a bath to make your body feel more relaxed. The concealed shower features permanently fixed water source on the ceiling of a shower stall. This setting allows you to maximize the space of the shower floor area. It also comes with several types of water flow, including rain, mist, revolves, and waterfall. With its practical setting and some water flow choices, you can have a better experience when taking a shower. If you want to go forward with the design, some varieties of the concealed shower also come with built-in LED. Additionally, this shower type can be considered as one of your top lists when installing showers built for two. As the name suggests, this type of shower brings a relaxing sense of the rain outside into the bathroom stall. Exposed rain shower recreates the setting rainfall for the moment you walk in the stall. For that reason, it is also known as a walk in rainforest shower. Similar to most shower types, exposed rain shower provides different settings of water flow. The setting is usually adjusted to the size of the shower head. The small shower head will give you the flow of light rain, while the wider one provides a more realistic rain experience. Many people find waterfall naturally soothing and relaxing at the same time. Luckily, the sense of this natural water flow can be brought into your own bathroom. In a waterfall shower, you can feel your body being washed under drops of water falling from above. This will create a fascinating experience when you are taking a shower. Waterfall shower is also believed to give you a relaxing effect, just like in its natural setting. Once the water is streaming through your body, any feeling of stress and exhaustion will be washed away simultaneously. An electric shower is an example of fabricated showers which can be easily found in modern homes or apartments. One of the most important qualities in an electric shower is its ability to give you hot water setting on demand. More importantly, the hot water setting will not be affected by the boiler problems. You can still have relaxing steam of hot water flow, even when the central heating system does not work properly. Currently one of the most popular shower types, mixer showers provide the water flow in both hot and cold setting. The mixture of temperature setting happens in the controlling valve. It regulates the water temperature as well as compensates the water drop pressure when you open the tap. Because of its compatibility and practical design, mixer shower can be installed in almost any bathroom settings. This shower is also compatible with various water systems, whether they are set in low or high pressure. The power shower is commonly installed in a spa and wellness center. However, you can also have this shower at home with several adjustments. For instance, you can adjust the water consumption level and the water flow setting, so it doesn’t take a lot of your home energy. Relaxation becomes the main function of the power shower. Because of this, you can get a soothing massage feature when installing this shower type in the bathroom. Of all many different showers that are available to install, the digital shower is considered a groundbreaking shower type. It can be a great alternative if you want to have electric, mixer, and power shower in one place. This type of shower can be installed in minimalist bathroom design. The settings and functionality of a digital shower also allow you to customize the water flow, including its pressure and temperature. Thermostatic shower combines the temperature system which has been previously set in the electric and mixer shower. In general, this shower type gives you an option of hot and cold water. More than that, the temperature can be set based on your preference before you turn the shower on. With this setting in hand, you can save more time to find the right temperature. Also, this shower is considered family-friendly because it can be used easily by children. Now that you know some basic types of showers, you can start looking for the best washing device to be installed in your bathroom. In addition to the style and design, you should consider several other things before installing the shower. These include your budget as well as the bathroom space you have. By taking those points into account, you will be able to get the most suitable shower type which can fulfill all your needs.